JOHANNESBURG, South Africa, October 5, 2016 (ENS) – Forest crime and conservation were in the spotlight at the 17th conference of the Parties to the Convention on International Trade in Endangered Species, CITES, or CoP 17, which closed in Johannesburg Tuesday after protecting many species of precious rosewoods among numerous other species. CITES exists “to ensure that international trade in specimens of wild animals and plants does not threaten their survival.” The control mechanism is a system of import and export permits. The precarious conservation status of elephants, rhinos, lions and African grey parrots is well known and was addressed at CoP17, but the need to protect trees – especially rosewoods – has been overlooked for years, until today. CITES delegates approved new regulations that enhance protections for the entire Dalbergia genus. The new rules will subject roughly 80 percent of the multi-billion dollar global trade in precious rosewoods to stricter regulation and increased transparency to assess legality and sustainability. To inform CoP17 decision making, the nonprofit Environmental Investigation Agency, EIA, issued a report on the trade of the rare and valuable red wood commonly known in Mandarin Chinese as “hongmu.” In China and Vietnam, demand for these precious woods, prized for furniture making, has grown “exponentially” over the past 15 years, until during the first half of 2016, China imported on average the equivalent of 350 hongmu logs an hour. At the start of CoP17 two weeks ago, only 61 redwood species were CITES-listed. Delegates to Cop17 agreed by consensus to list the entire genus Dalbergia on Appendix II, including all 300+ species. Appendix II lists species not necessarily threatened with extinction, but in which trade must be controlled in order to avoid utilization incompatible with their survival. This proposal was introduced by Guatemala with supporting comments by Argentina, Brazil and Kenya. 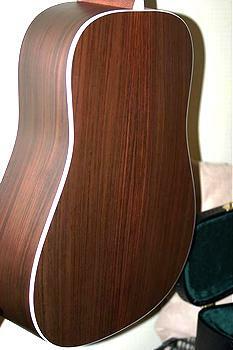 Brazilian rosewood is the one exception. 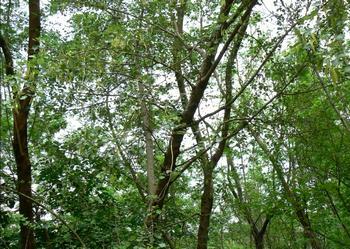 Trade in the timber or products of this species, Dalbergia nigra, is already banned and has been since 1992. This is the second CITES CoP for John Bennett of Bennett & Associates, New York City. Representing the International Association of Violin and Bow Makers, Bennett was the only music industry representative at CoP16 held in Bangkok, Thailand in 2013. 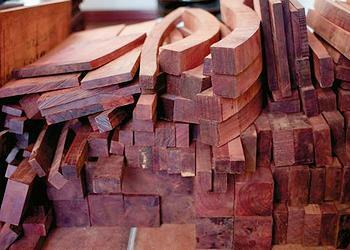 At the Bangkok meeting Bennett was concerned about the practical effect of the 2007 listing of Brazilian pernambuco wood on both bow makers and musicians traveling with instruments. Since then, an informal music industry coalition has formed and is collaborating with the conservation world to address all relevant CITES issues. “What do trees have to do with music? Everything! says the Director of ForestBased Solutions Rob Garner, an expert in best practices for sustainable forest use and a professional bass player. Garner attended CITES both to represent his company and as a consultant to C.F. Martin & Company, the renowned Pennsylvania-based guitar maker. Musical instrument manufacturers support sustainable use of rosewoods and other sweet-sounding woods so that these valuable trees will always be available for harvest and so that local communities benefit. Piazza says that sustainable use is very important. 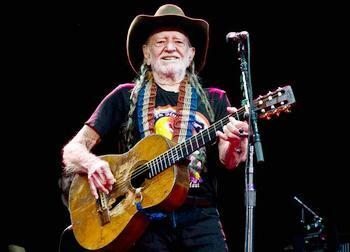 Taylor Guitars supports the new Appendix II listing and the required permitting when sourcing rosewoods. “Although it adds costs to the instrument, greater diversity of species is best for the world,” he told ENS. Musicians are concerned that once the new international trade protections for rosewoods are in place, they will still be able to travel with their instruments and perform around the world. But, the annotation language does raise questions. Heather Noonan, an advocate for the League of American Orchestras, is hopeful that uncertainties with the Dalbergia annotation will be clarified shortly. “For this annotation to relieve musicians of permit requirements as they travel both away from their home countries and back again, it would need to clearly apply to both export and re-export,” said Noonan. The music industry consortium also wants clarification on other CITES rules affecting rare woods and valuable animal parts. Among other provisions, this resolution reminds the Parties of the “personal and household effects” exception to CITES trade rules. In the United States, the U.S. Fish and Wildlife Service is responsible for issuing musical instrument “passports.” But international travel is still complicated by a combination of U.S. procedures, U.S. domestic wildlife laws – the Lacey Act and the Endangered Species Act – and the fact that each country makes its own rules.